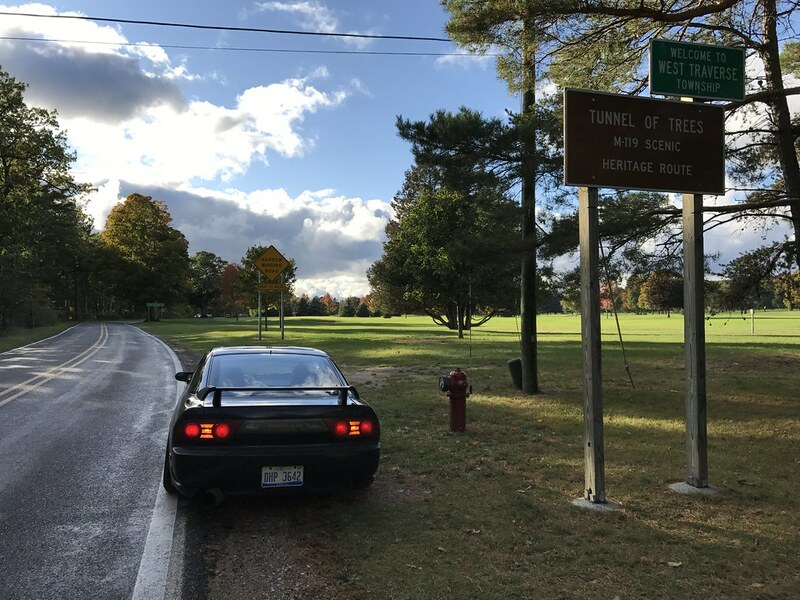 About a week or so ago, my wife and I drove the S13 up to Petoskey, Michigan to see the fall colors and have a little bit of time away from our three daughters. This was our first time leaving our youngest Alexi which is always a little tricky, but luckily it was a quick trip. My fender braces arrives from GoodRide Garage on Friday after work, so I decided to lift the car and install those quickly while the girls were playing outside. 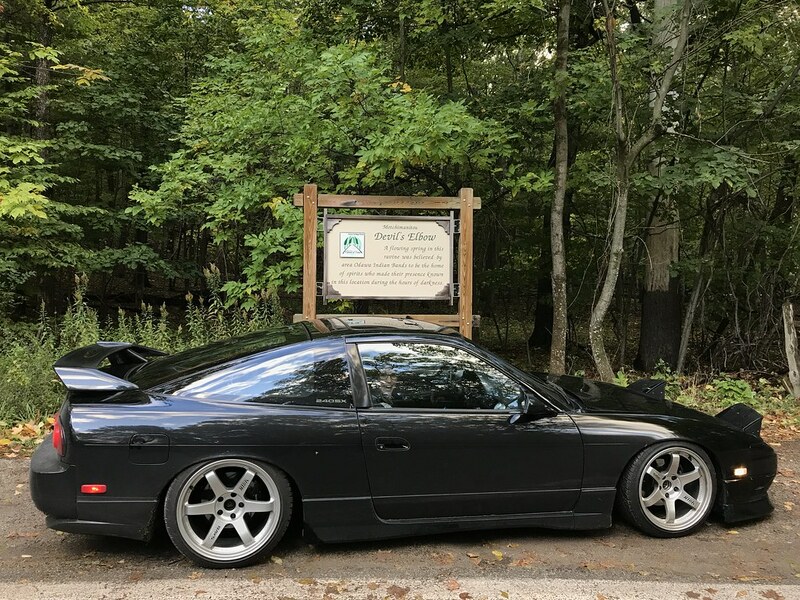 Kevin and Roy have created a really nice product in these braces which are must beefier than the factory pieces (which are now missing on most S13s, including mine. The front fenders and bumper feel extremely solid with these in place now and I was pleasantly surprised to find that they even fit with my OEM fender liners. 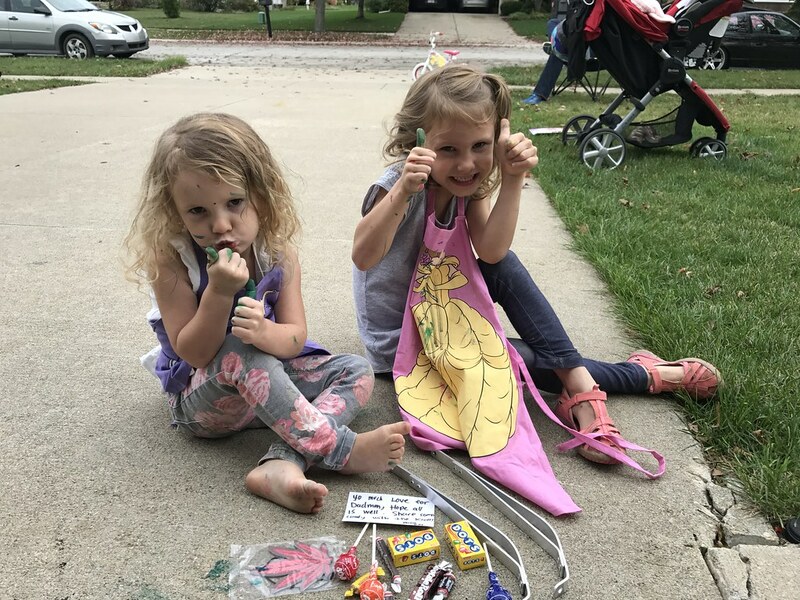 My friends Kevin and Roy of GoodRide included some candy for my kids- they were pretty pumped! My bumper was mounted fairly well thanks to the OEM brackets, but this adds a lot more stability to my fenders and fender extensions. Pretty trick! While I had the car in the air for the install, I realized that my right front wheel bearing was bad. I had become suspicious of it after my trip to Shawano for Final Bout III, but had been to lazy to check it until now. 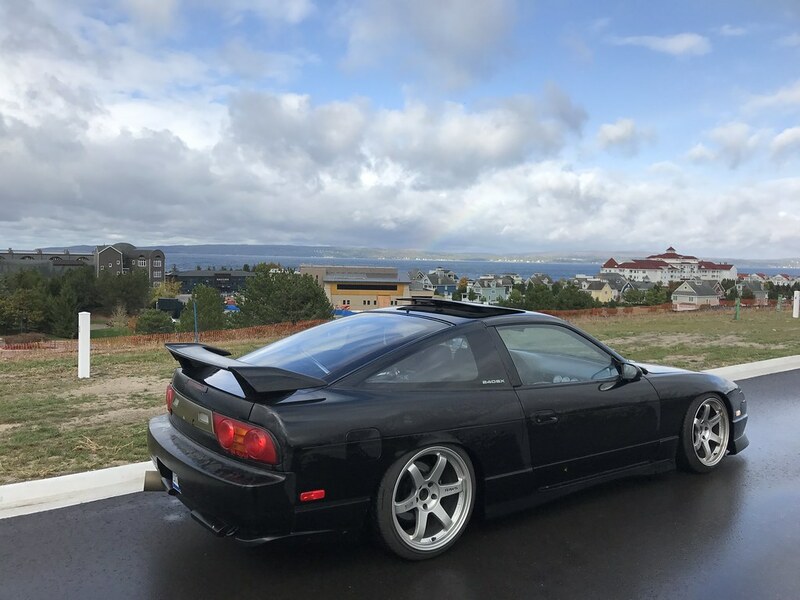 Feeling a bit anxious about driving the car over 500 miles on it, I posted on the local 240SX Facebook page to see if anyone happened to have some hubs for sale. I ended up finding a pair of front hubs not too far away and picked them up on Saturday. Of course, when I went to install it, I stripped one of the nuts on my front spacer in the process. This prompted a trip to harbor freight to purchase a grinder to cut the wheel stud and stripped nut out, allowing me to free the broke rotor. It’s always frustrating when things don’t go smoothly and take far longer than they should, but once the stripped nut was removed things went pretty quickly. One of the many quick breaks in the clouds on the way up North. We began our drive North on Sunday morning just as a large cold front and rain storm was passing through. 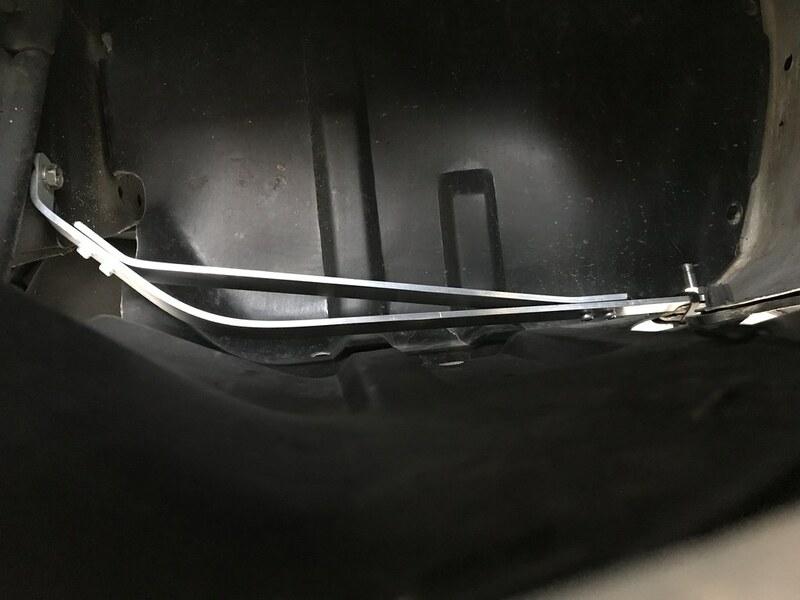 This caused me a fair bit of anxiety on the way up as the rain was very heavy at times and we discovered that the carpeting was once again wet in the driver’s and passenger’s footwell areas. The holes from my former roll cage have been sealed for a while now since this happened leaving Final Bout II, but there must be other holes I have not properly sealed. 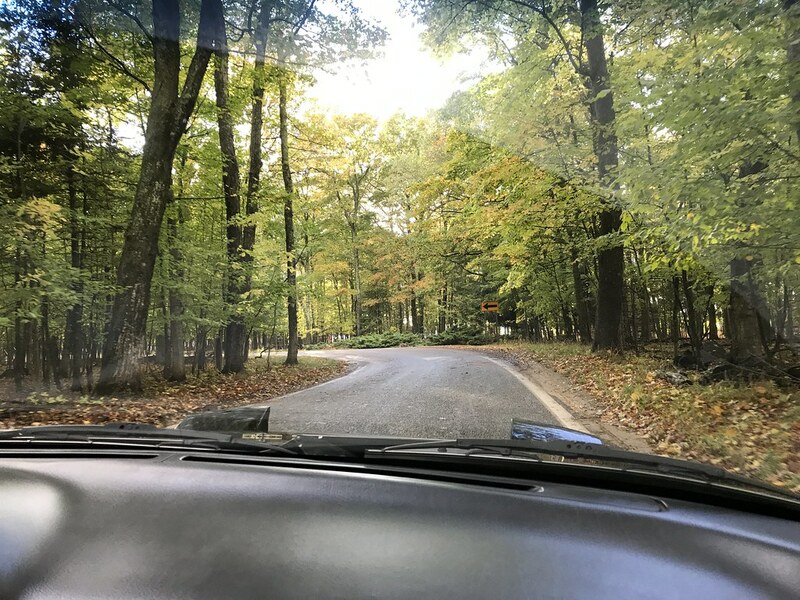 This combined with all of the leaky window seals and a lack of heat in the car were stressing me out a bit, but I did my best to ignore it and enjoy the trip. How you have to dress to ride in my car in October. 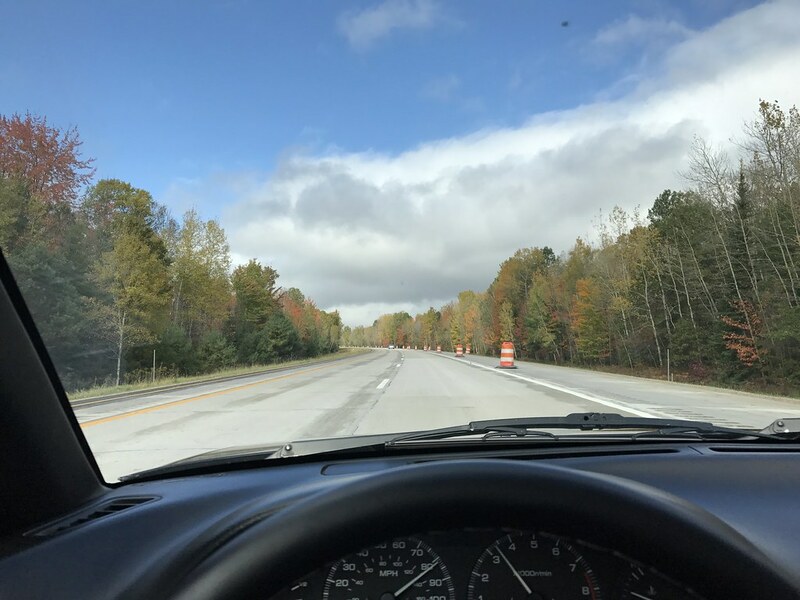 One of the main attractions that brought us to Northern Michigan was M-119, also known as The Tunnel of Trees. This is a winding 45 MPH road that snakes along the coast of Lake Michigan through a heavily wooded area. There are numerous tight turns and elevation changes that make it a blast to drive. While the road is technically suited for two-way traffic, there is no center line and things get fairly tight at times. Most of the traffic is comprised of people putzing along to admire the fall colors, so you do get stuck from time to time- but it’s a lot of fun when you get a clear shot. 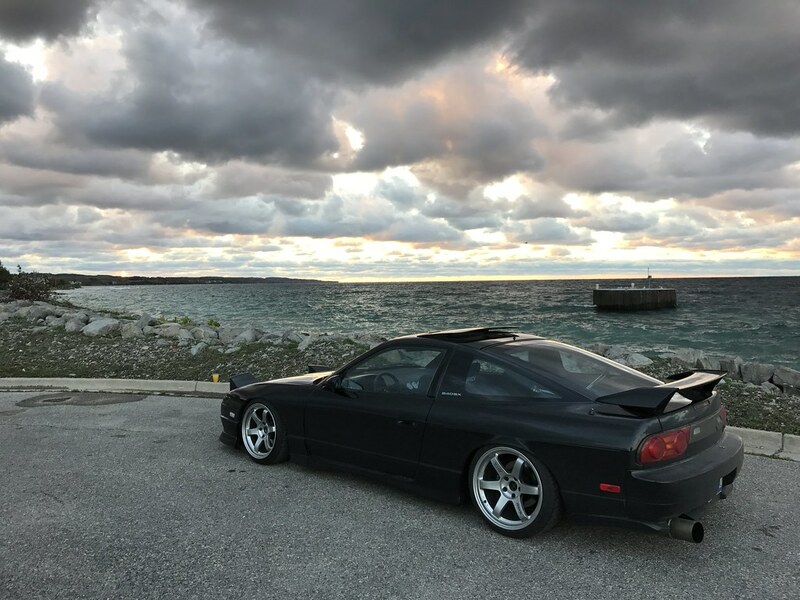 My car bottomed out constantly due to some bumps and the crown in the road, dragging the skid plate and exhaust for much of the drive- but it was still a blast. The Devil’s Elbow- apparently you can hear spirits here at night… or is that just squealing tires? 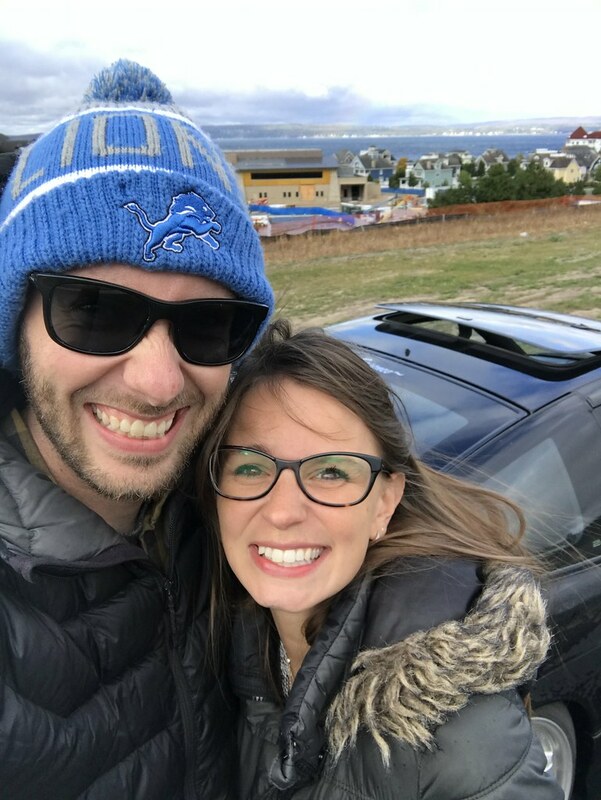 It was really cool to see the large waves in the Little Traverse Bay at the hotel on Sunday due to the high winds from the system moving through. We ended up making the best of the cold and often rainy weather and really enjoyed the trip and decided to make one last rip through The Tunnel of Trees on Monday afternoon before heading home. Unfortunately, my other front wheel bearing began to fail on the way home, causing an ear-shattering hum for the entire drive home. The Little Traverse Bay seen just down the road from the hotel. By the time I got the car home and in the garage on Monday night, I was feeling pretty drained and discouraged. The car was the filthiest I had ever seen it and almost felt like a lost cause. I took a couple days off from driving it and ended up washing the exterior on Wednesday which helped lift my spirits a bit. I then removed the carpet to dry in the sun and replaced the other failed wheel bearing. Even with no passenger seat or carpet in place, it was great to drive it to work on Friday to take advantage of the unseasonably warm temperatures. Unfortunately, a pair of large rain systems are currently moving through Michigan, bringing with them temperatures more in line with our seasonal average for late October. I’ll probably sneak in a couple more quick drives before the snow flies and the roads get salted, but this definitely feels like the end for 2017. This off season will likely not bring any new modifications to the car, but I hope to accomplish some restoration work to solve some of the issues we faced on this most recent trip. It’s time to focus on details that have been overlooked or ignored during my ownership. Hopefully it comes out of hibernation better than ever.